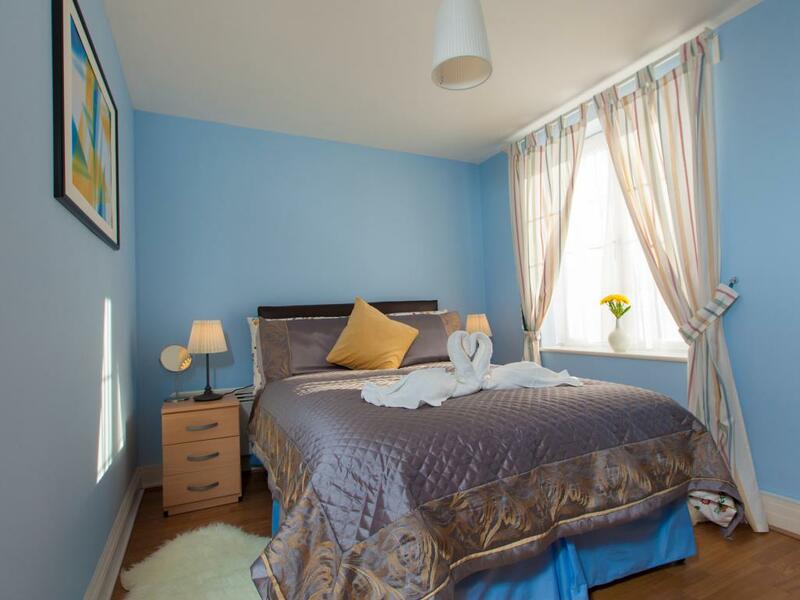 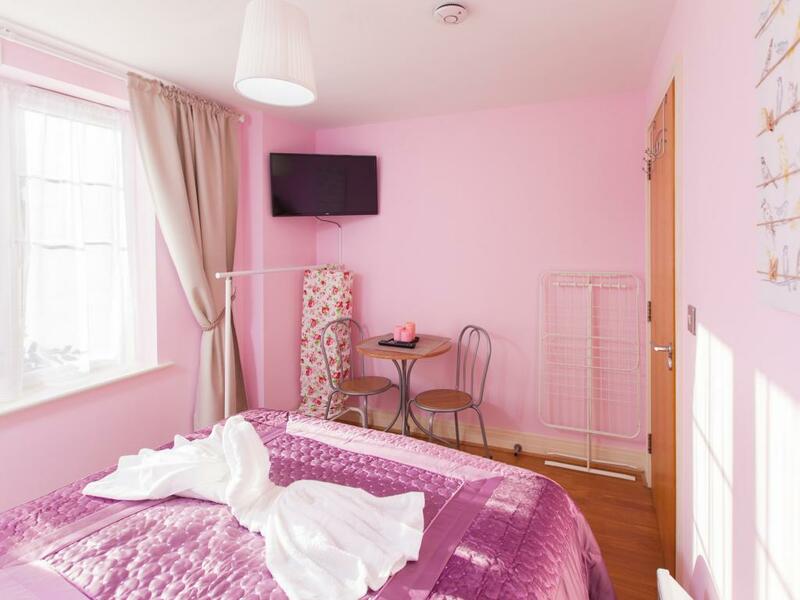 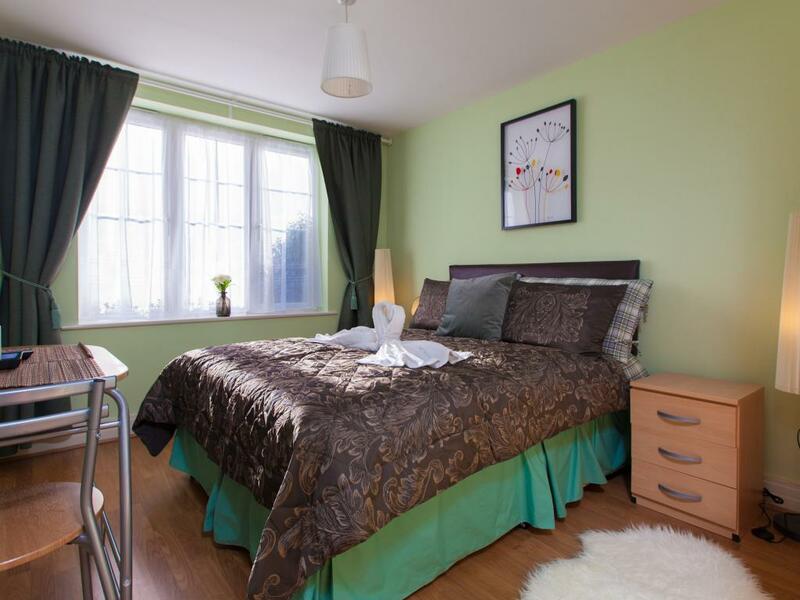 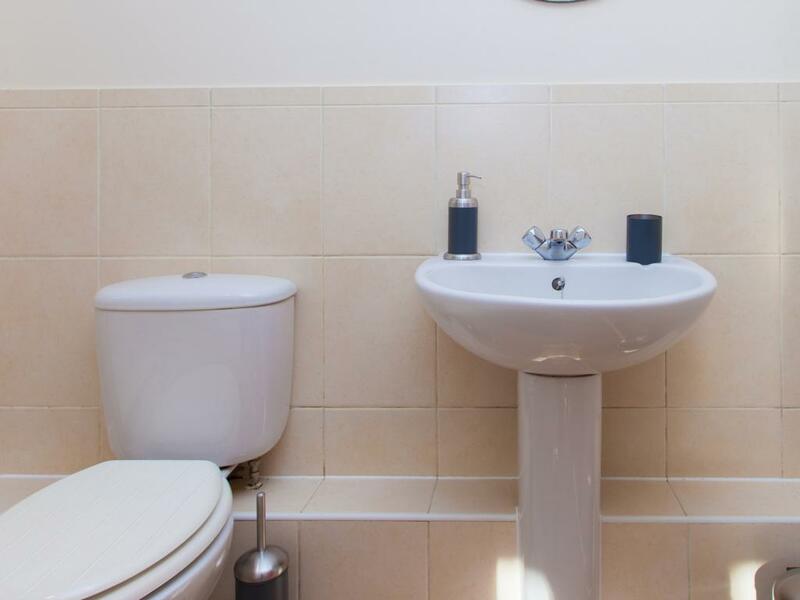 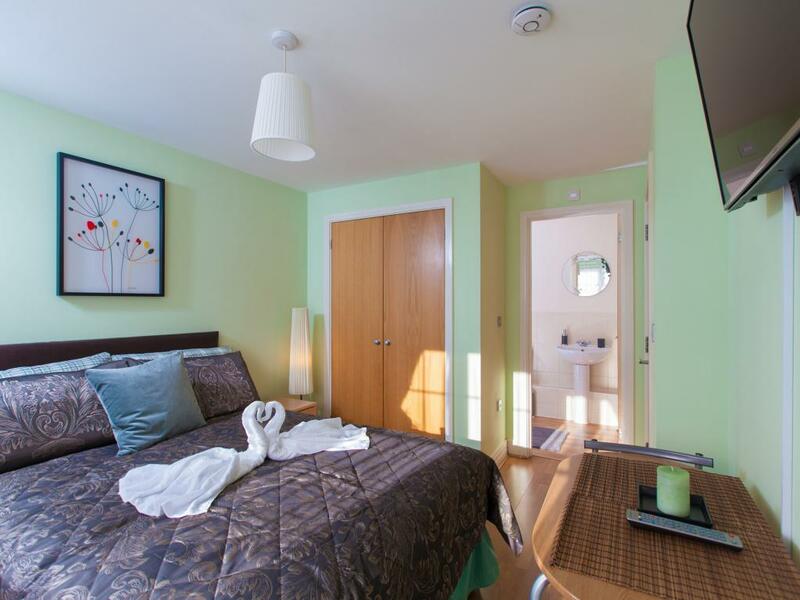 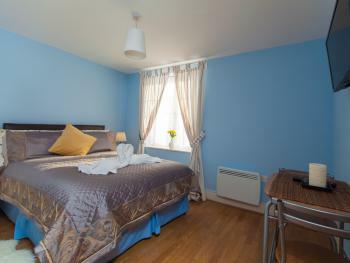 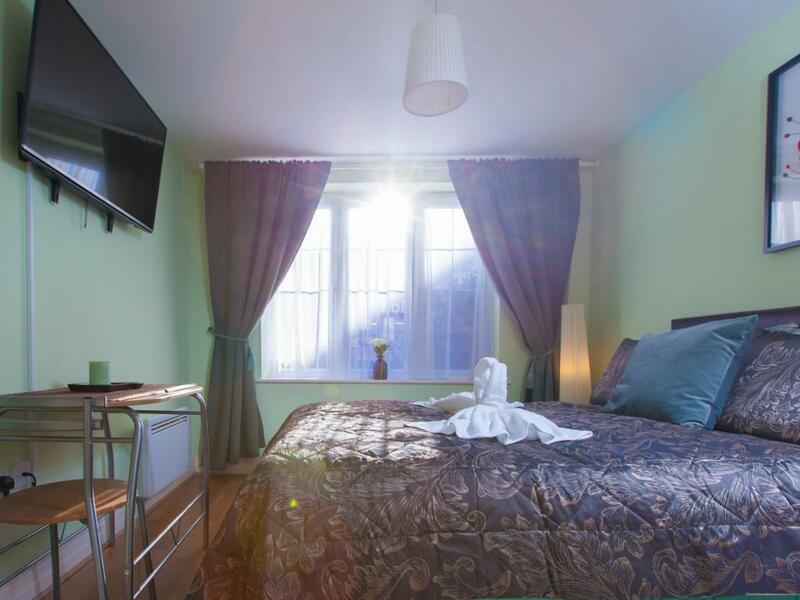 Modern, lovely en-suite room situated on the ground floor of a house in a quiet apartment in the historic town of Harrow (North West London). 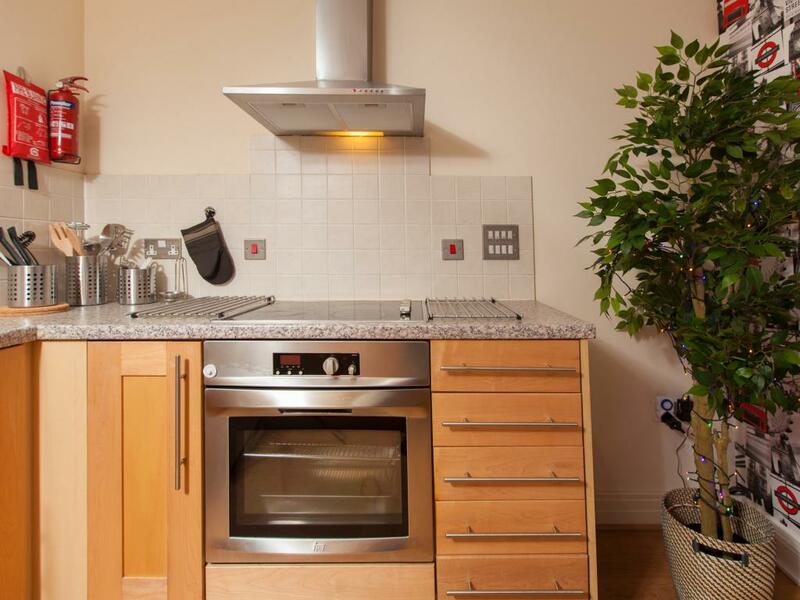 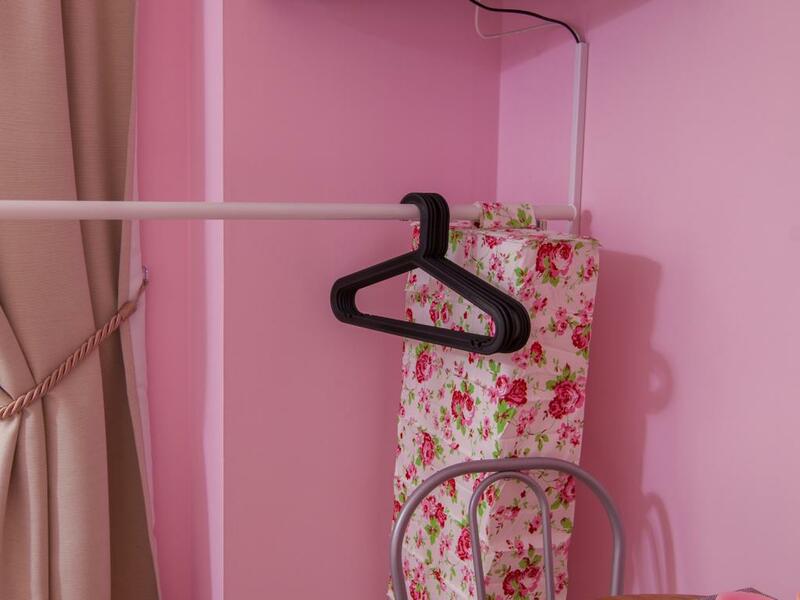 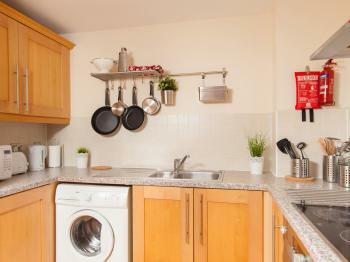 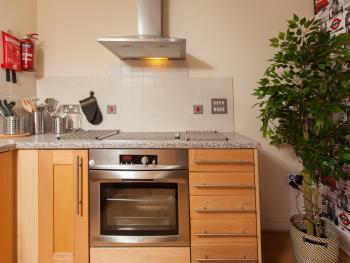 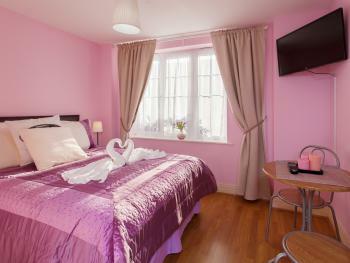 Self-catering room is ideal for a couple or an adult. 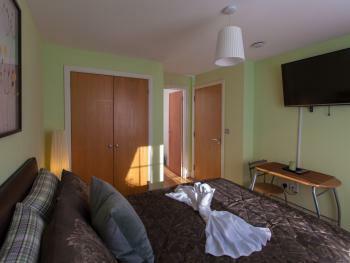 Fully Furnished En-suit Room includes: - double bed (192 cm long x 138 cm wide) - wardrobe - LCD TV (with free view) - Free Wireless Internet - dining table & chairs - all essentials supplied for a comfortable stay including bed linen, towels, cutlery, crockery, glasses, cooking utensils, iron and hairdryer - modern shared kitchen and with access to a washing machine, microwave oven, cooker (hob, grill, and oven), toaster, kettle, fridge/freezer, pots and pans, cutlery, plates, cups and glasses. 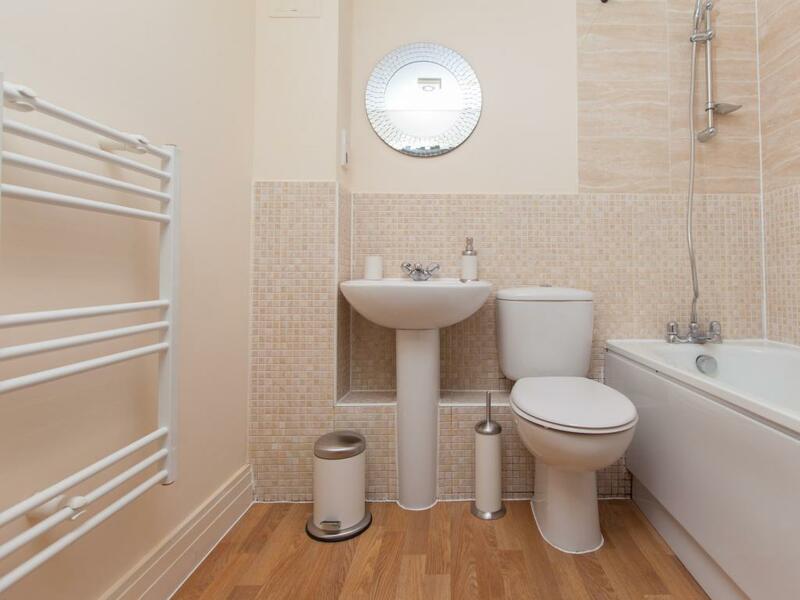 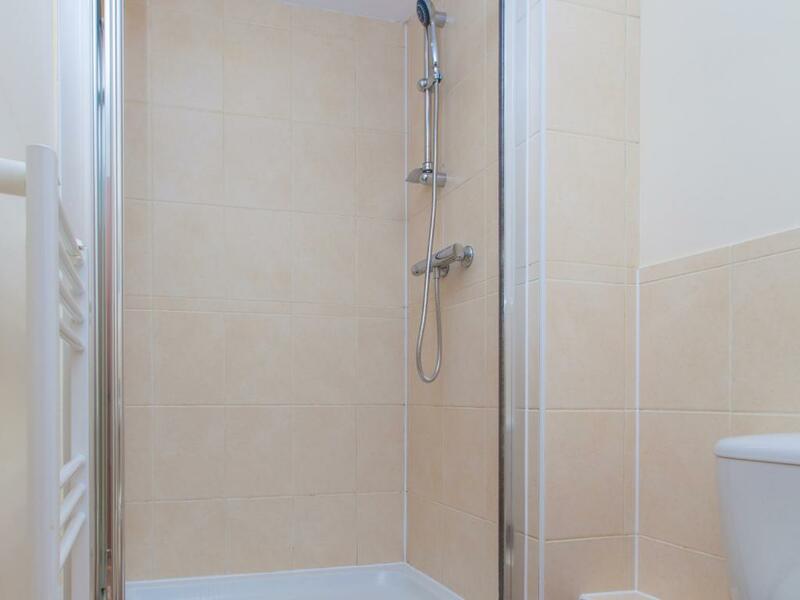 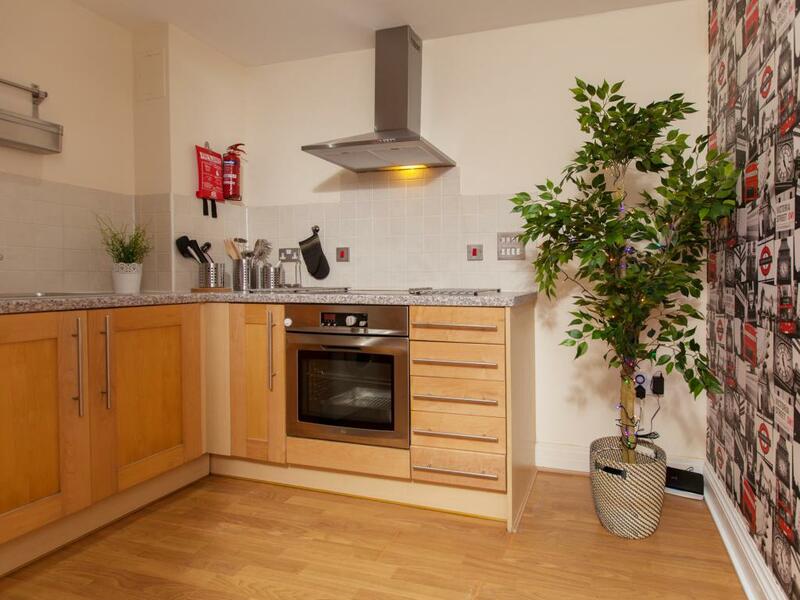 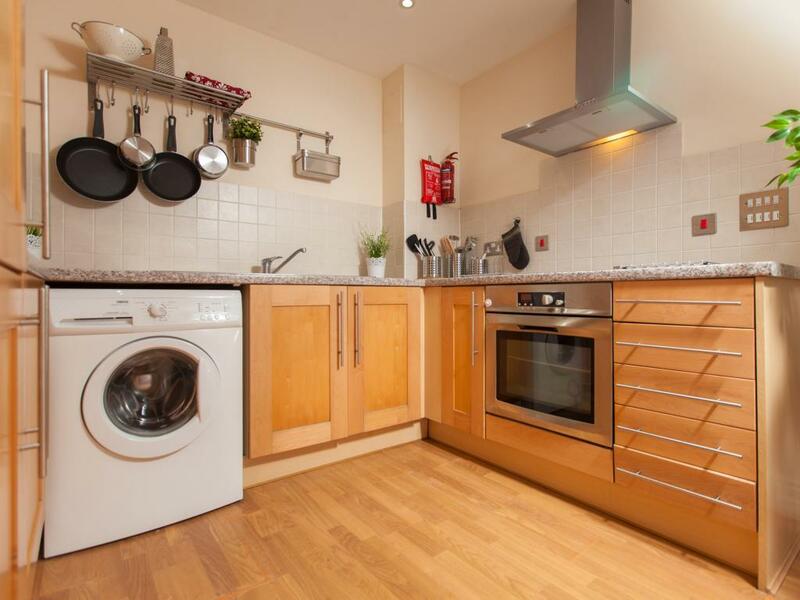 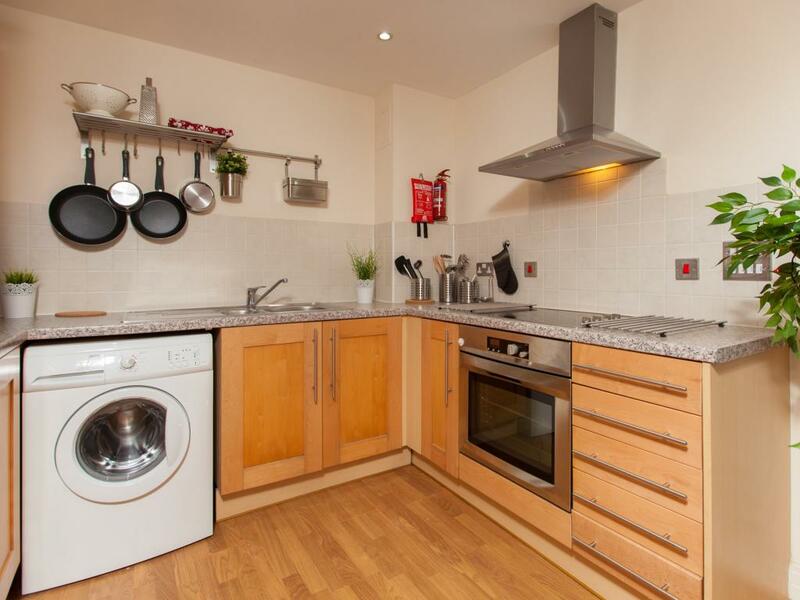 - en-suite bathroom, constant hot water, heating. 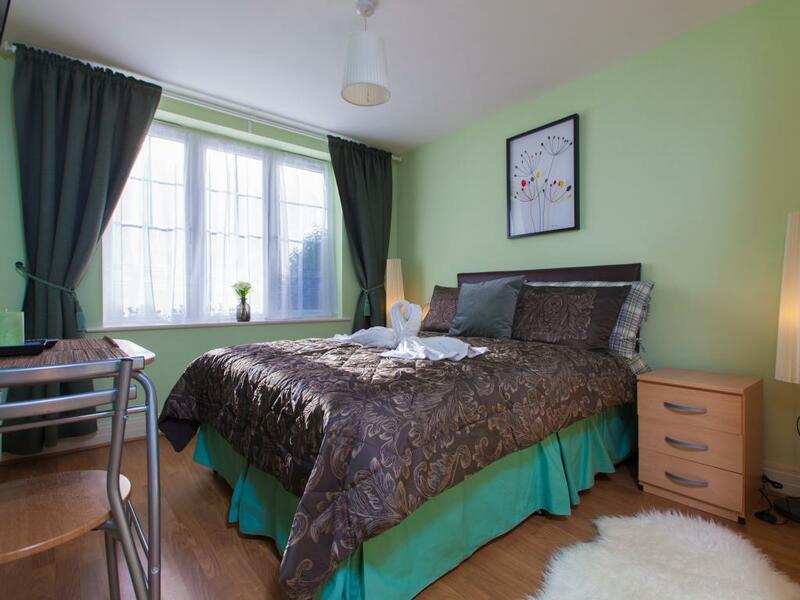 Modern, lovely rooms are situated on the ground floor of a house in a quiet apartment in the historic town of Harrow (North West London). 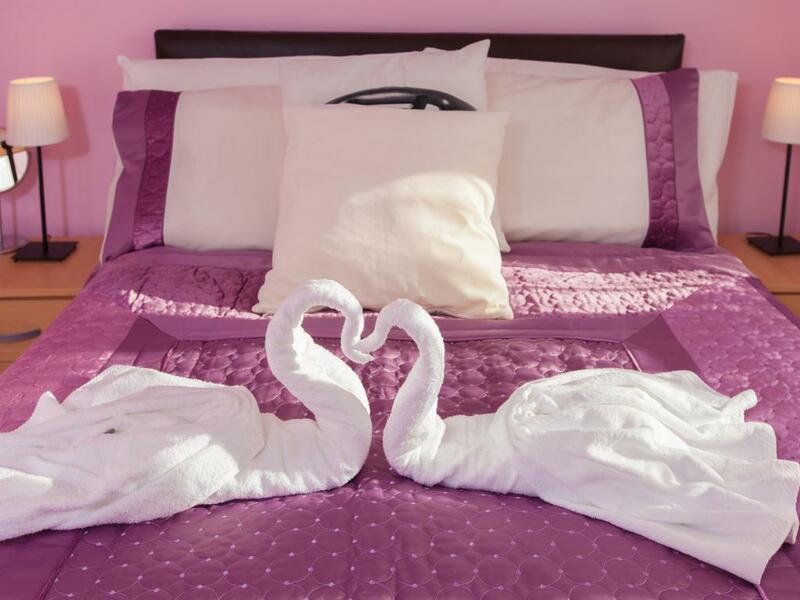 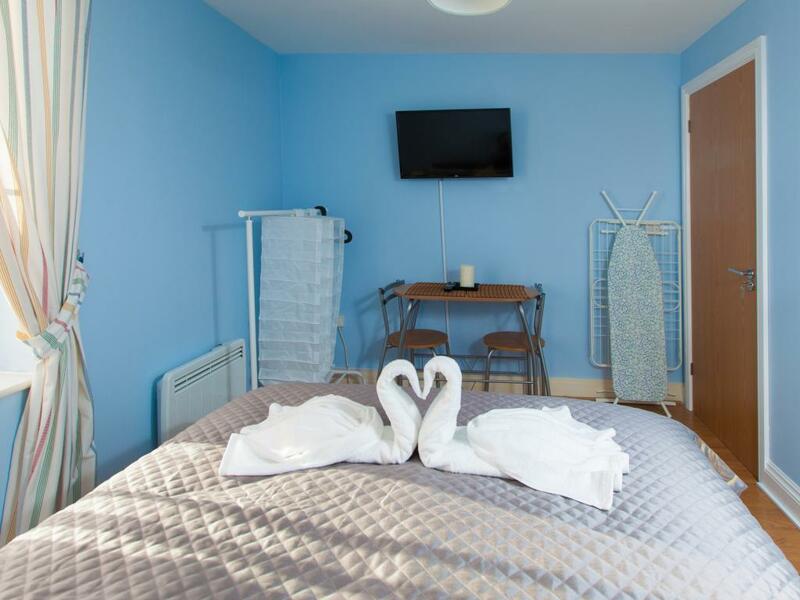 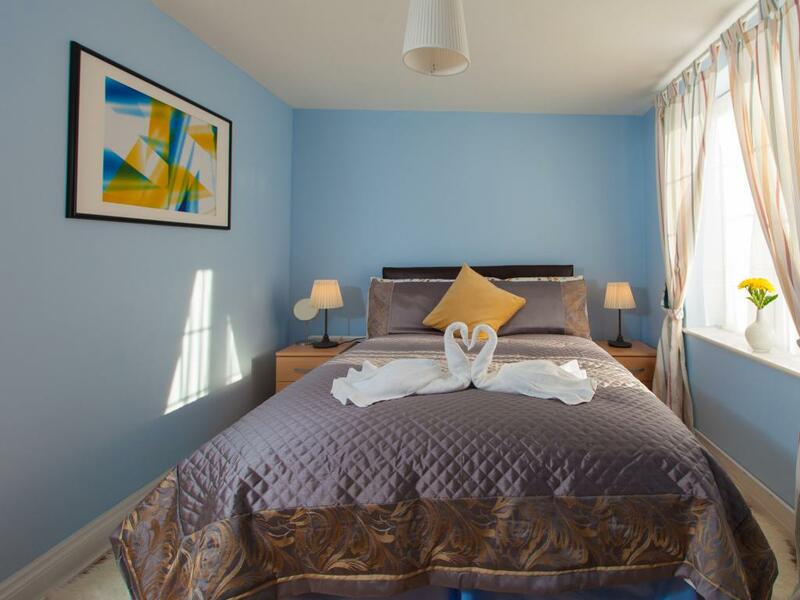 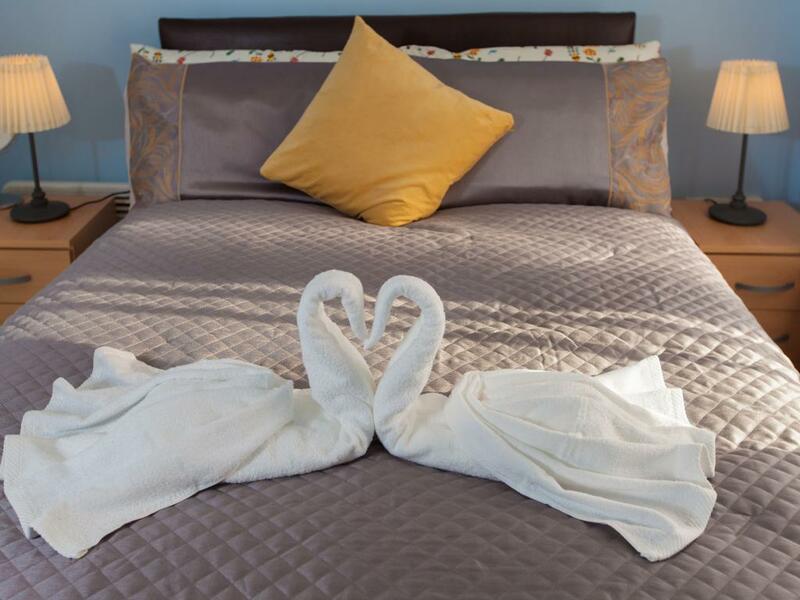 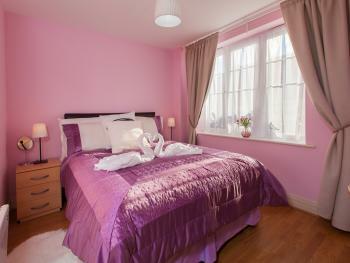 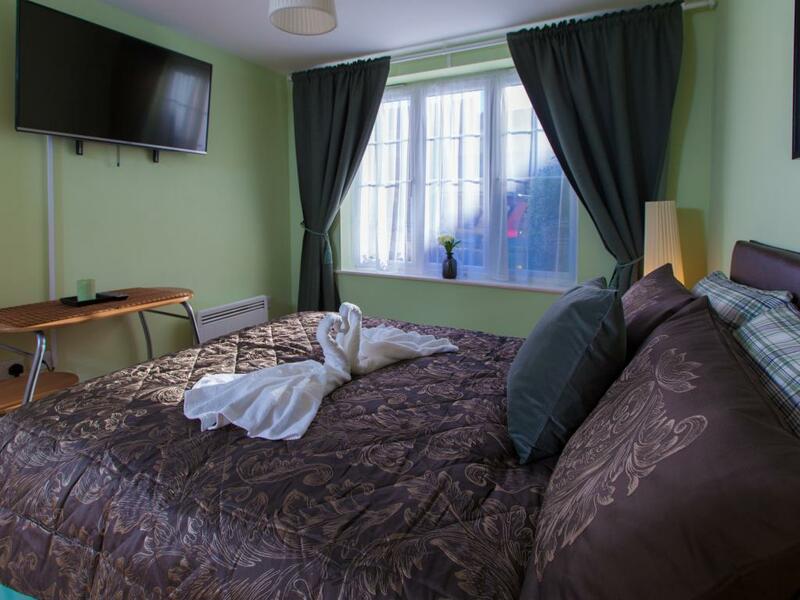 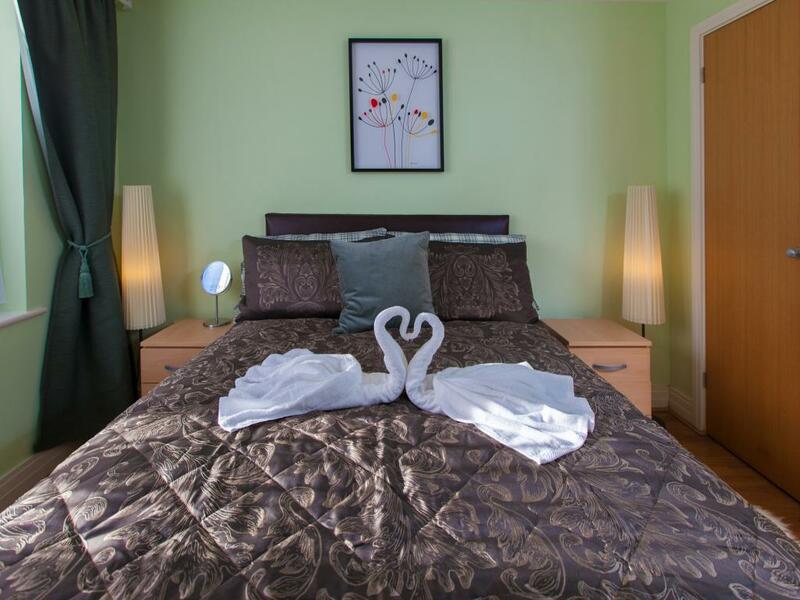 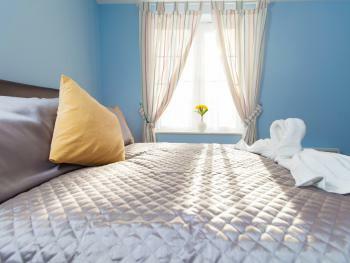 Self-catering rooms are ideal for a couple or an adult. 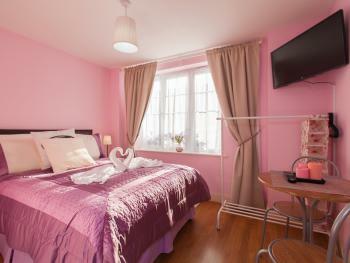 Fully Furnished Room includes: - double bed (192 cm long x 138 cm wide) - hangers, 2 chest and drawer - LCD TV (with free view) - Free Wireless Internet - dining table & chairs - all essentials supplied for a comfortable stay including bed linen, towels, cutlery, crockery, glasses, cooking utensils, iron and hairdryer - modern shared kitchen and with access to a washing machine, microwave oven, cooker (hob, grill, and oven), toaster, kettle, fridge/freezer, pots and pans, cutlery, plates, cups and glasses. 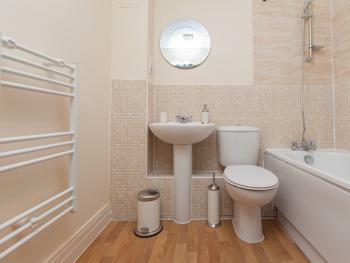 - a shared bathroom, constant hot water, heating. The nearest tube station is Harrow and Wealdstone, in zone 5. 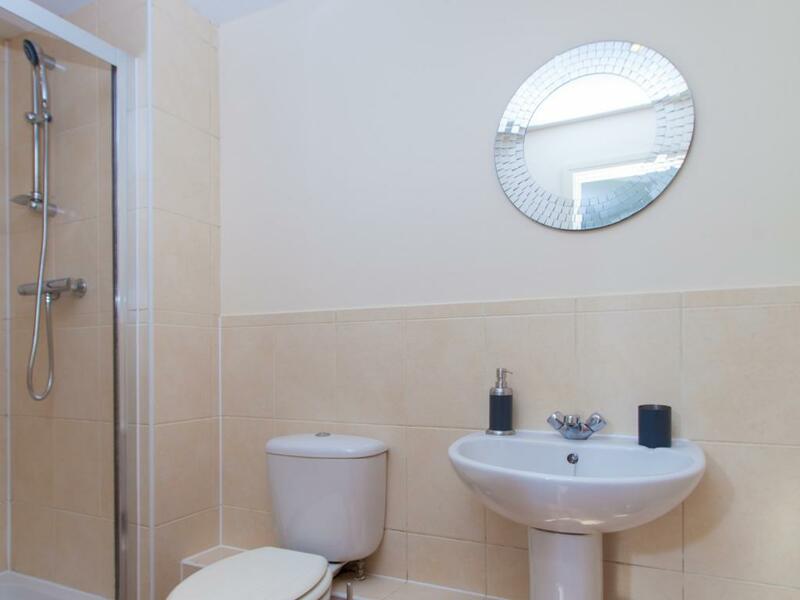 There is 2 exits from station, please take the exit to the parking (same platform you arrive), when you came out from the station please take the left turn and keep walking straight until you see on the right Harrow Civic Centre, then take the left turn and keep walking for a less then a minute to the Station Road. 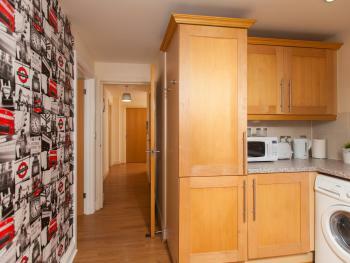 Take the right turn and keep walking straight until you reach Rosslyn Cresscent, Granby Court first turn on your left.